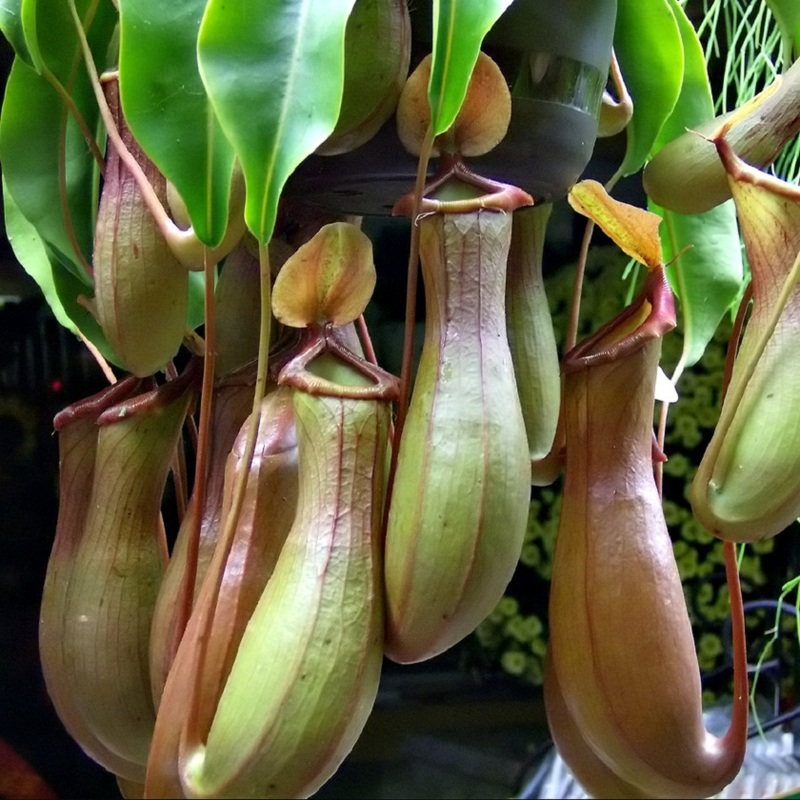 Nepenthes is a non-vegetarian plant and they call it as monkey cup. This plant produces sweet liquid which attracts the small animals like rats and insects along with birds. When the animals settle on it for the liquid, it swallows them into its basket. It takes the proteins which are required by it and inside the plant, there is a pasty liquid. So it is very difficult for the animal which gets trapped to come out of it. The name monkey cup was given as the monkeys drink the water which is stored in the plants cup like thing. Nepenthes is seen in India, southern China, Malaysia, Madagascar, Sri Lanka, Philippines and Australia.